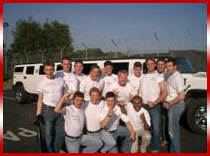 Since the Hummers introduction to the limousine world, it has raised the bar for limousine hire. The Hummer was initially utilised as a military vehicle, however, due to its distinct design, it has undergone a change of direction and has become the worlds favourite limousine vehicle. 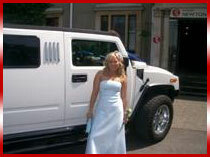 Midlands Limo Hire is proud to possess several Hummer limousines which have been built to our demanding requirements. 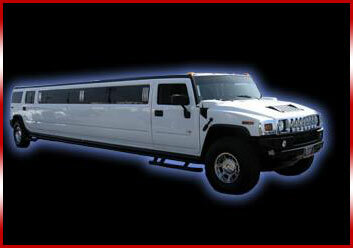 On the exterior the H2 Hummer limousine is an imposing looking vehicle. Measuring in at 38 feet in length, sitting on 22” chrome alloy wheels and with the instantly recognisable chrome Hummer grill, this is one impressive way to arrive at the party. It is on the inside where things get really interesting. 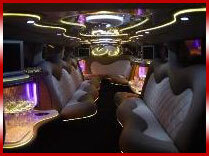 We have had the H2 Hummer built to include luxurious J-leather seating, which can comfortably accommodate 16 passengers. Furthermore, we have installed a mirrored ceiling, mini bar with champagne flutes and tumbler ice buckets, 12 speaker stereo sound system, and flat screen TVs. In addition, we have had fitted twinkle lights, optic lighting, touch screen climate control, DVD player and privacy screen. 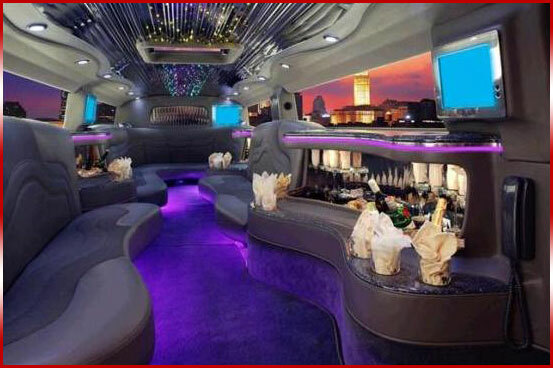 A ride in our H2 Hummer is like a ride in your own VIP party lounge. All of our limousines are supplied with your very own uniformed chauffeur, who will open and close the doors for you and will go out of their way to make you feel special. If you want to know what it feels like to be a celebrity? Then you should hire one of our limousines. So if you are planning a big night and want to add a little sparkle to the evening, then why not plan to arrive in our H2 Hummer limo? Don't forget that all of our limousines are supplied with 6 bottles of complimentary bubbly or unlimited soft drinks to help get the party started. 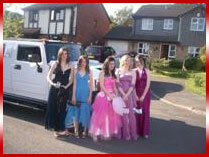 We Specialize limousine hire in derby, limousine hire in nottingham, Limousine hire in Birmingham, Limousine hire in Midlands, Limousine hire in east midlands, Limousine hire in the midlands, Limousine hire in Lincoln, Limousine Hire in Newark, limousine hire in mansfield, limousine hire in chesterfield, limousine hire in stoke on trent, limousine hire in burton on trent and many other towns and cities, distance is not a problem for us to make your wish come true..